Locate your prey and zero in on it with a spotting scope. These large scopes magnify the object you’re after more than the scope on your gun, giving you a longer, more accurate shot. Or, find the subject of your photo with binoculars and see it up close in amazing detail. View high resolution details with clarity and crispness you’ve never imagined. Many of our spotting scopes mount on tripods or include carrying cases for easy portability. Others are compact enough to fit in your shirt pocket. Protect your expensive optics with a durable case or carrier. 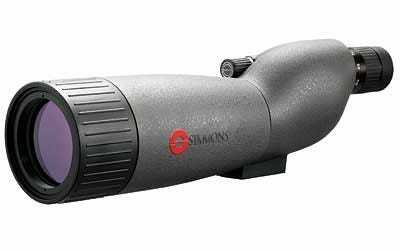 In addition to hunting, these revolutionary scopes are popular for appreciating the great outdoors through photography, birding, surveillance, and wildlife, ship, and landscape watching. Options range from basic scopes for simple long-distance viewing to scopes with fitted iPhone adapters for capturing the moment. Choose among high performance ED, APO, HD, and Fluorite glass options as well as various eye relief distances to maximize comfort and minimize strain from your side of the scope. Fully coated, multi-coated, and fully multi-coated options are available for varying levels of light refraction and glare in your view. Multiple zoom magnification ranges and lens sizes are available to suit your needs and budget. Generally, larger objective lenses allow higher capacity for detail.